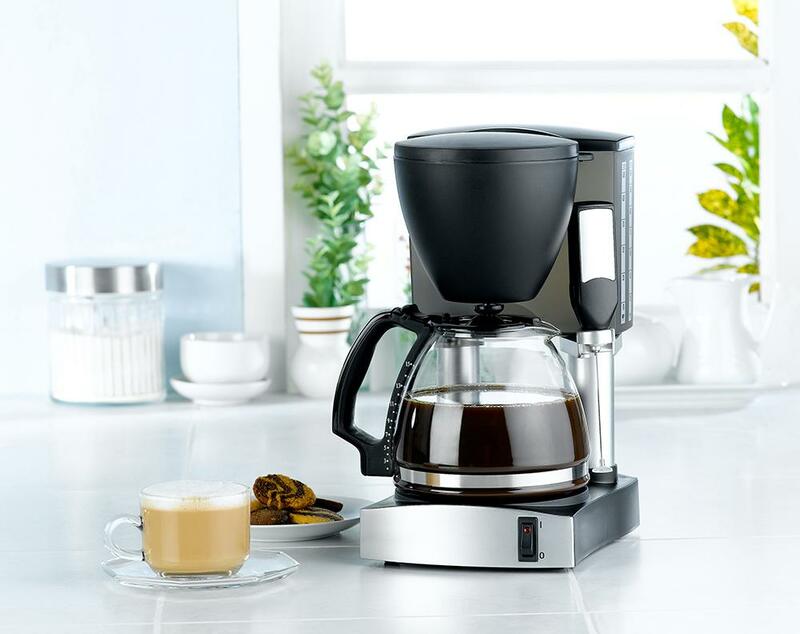 Review of the Best 4 Cup Coffee MakerYou read it right – you will see the review of the best 4 cup coffee maker for you in this article (I guarantee it). 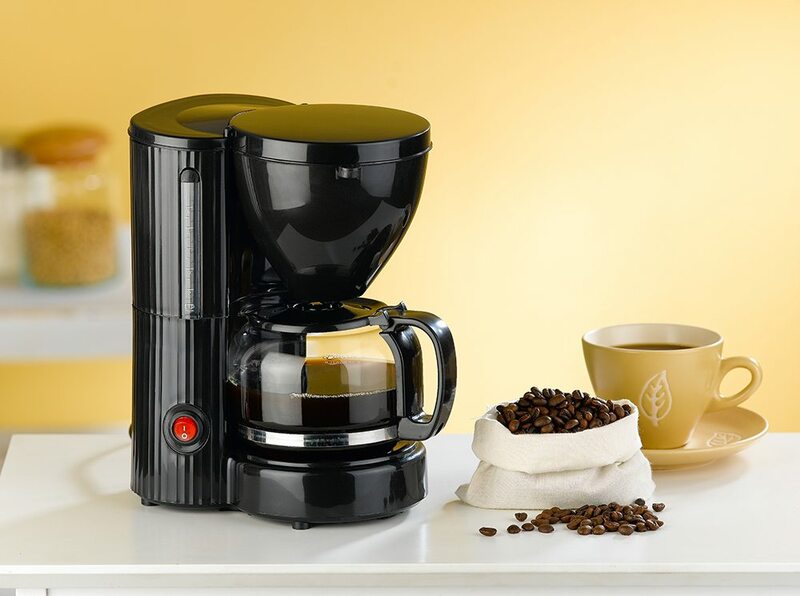 Actually, I will review 10 4-cup coffee makers of different types in this post. And so, by the end of this review, you will be able to decide which unit is the best one for you. I will also give you information as to how different types of coffee makers work. This way, you will get to understand each one better (as well as their pros and cons). Note that you will only find coffee makers with 4-cup capacities here. This will cover coffee makers that are intended for 1 to 2 persons only, or units that can be easily accommodated in small spaces (such as dorms, apartments, and homes with small kitchens). 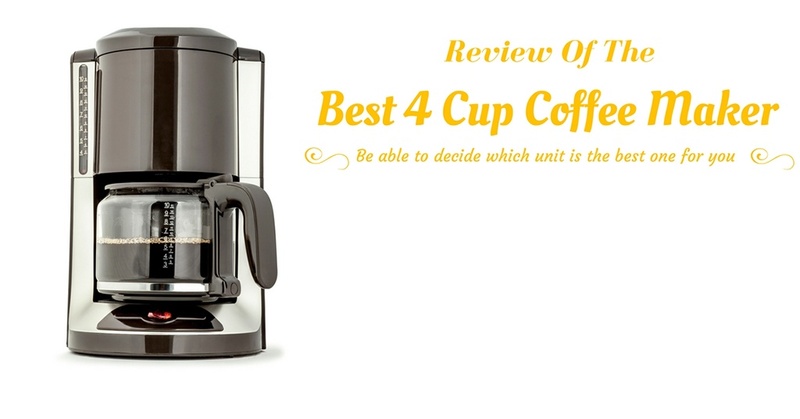 Which is the Best 4 Cup Coffee Maker for You? 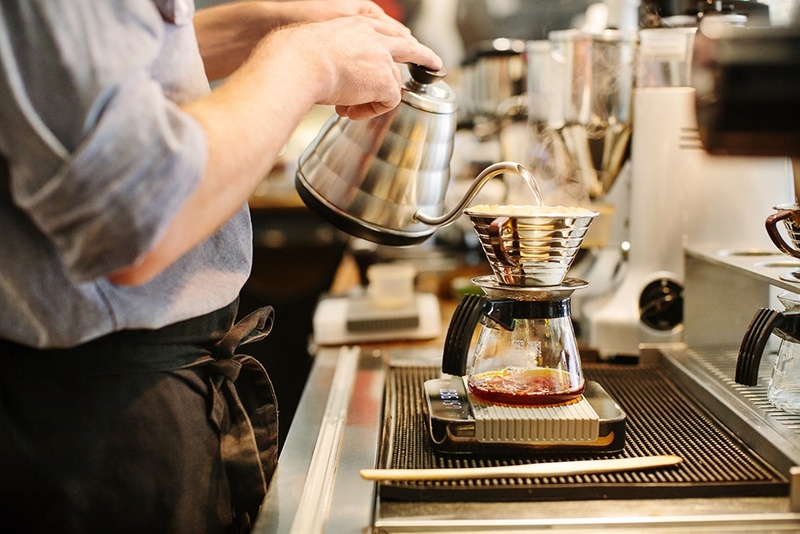 There are 5 basic types of coffee makers to choose from – drip coffee makers, espresso machines, French Press coffee makers, Percolators, and Moka Pots. I will explain each type below. This is an electric type of coffee maker. As the name suggests, coffee will drip into a carafe after the brewing process. This electric coffee maker can make espresso and other specialty coffee varieties like latte and cappuccino. The unit can come with a milk frother wand for steaming milk and making froth. As a non-electric coffee maker, this is also referred to as a manual coffee maker. It needs manpower to work as you will need to push down the unit’s plunger for the coffee extraction process. You need to boil water (this is a separate step) for this type of coffee maker. 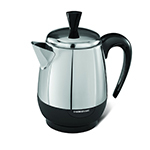 Percolators come in electric and non-electric models. Electric units run on electricity while non-electric models are put on stovetops for the heating and brewing processes. In both models, coffee is brewed through the use of hot steam combined with high pressure. 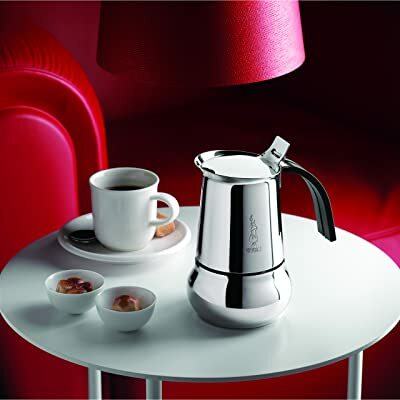 Moka Pots are very similar to Percolators and they also come in electric and non-electric models. Like percolators, hot steam and high pressure are also needed for the brewing process. However, instead of pushing brewed coffee to the bottom of the pot (as in the case of Percolators), Moka pots push brewed coffee to the top of the pot. Since you’re specifically looking for a 4-cup coffee maker, it would be good to understand the measuring system used in coffee makers. You see, we use different sizes of cups and mugs at home – so, our idea of a cup can vary with one another. Mugs have different sizes, too (they’re basically double in size when compared to standard cups). In the world of coffee, the standard size of a cup of coffee is typically 4 to 6 ounces. This measurement is quite smaller than the cups we use at home. Consider the points below to better understand cup measurements in coffee makers. So, please, don’t be surprised that these models of coffee makers have very small pots and carafes. These models of coffee makers are really intended for personal use (for 1 or 2 coffee drinkers at a time) and for use in places with small spaces. I will help you find the best model of coffee maker for you – that, I promise. So, before going to the review section of this post, consider the following items listed below. Know the type of coffee maker you want – You already know the different types of coffee makers, right? Now, pick the type that’s most suitable to your needs. Electric or non-electric – Another thing to decide on is whether to get an electric or a non-electric unit. For non-electric models, your choices would include French Press coffe﻿﻿e makers, percolators, and Moka pots. Programmable or Non-Programmable – If you want the convenience of waking up to freshly brewed coffee, know that there are models with delay timers (programmable coffee makers carry this feature). This feature will allow you to set up the time of brewing process in your coffee maker. This Haier 4 cup coffee maker is an automatic drip model with the built-in grinder. It’s available in white and black (combination) color. 2 Way Brewing System – You can use ground coffee or whole coffee. Operation – Fill the water tank with water, put coffee into the filter chamber, and turn the dial. Cleaning Procedure – The removable parts (grinding chamber, filter basket, and cover) should be hand washed using mild soap and water. It comes in the unique design. It’s versatile – you have the option of using whole coffee beans (the grinder will take care of the beans) or ground coffee. It’s compact and will take very little counter space. It comes with a built-in grinder. The grinder is very loud during operation. The grinder doesn’t come with coarseness settings. This is a very simple coffee maker, but it comes with a built-in grinder – that’s why I placed it at the top position in this Top 10 countdown. It’s the only model with a grinder feature in this list. 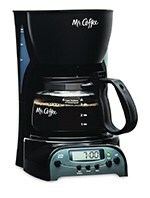 This 4 cups programmable coffee maker from Mr. Coffee is one of my favorites in this list. If you want it, you can get it in the color of black. Carafe Capacity – It comes with a 20-ounce carafe. On and Off Light – It has an on/off indicator light to let you know when the unit is in operation. Filter Basket – The filter basket for holding filter paper is removable. Pause and Serve – This feature allows you to pull out the carafe even before the brewing process is completed. Water Tank Window – You can easily monitor the level of water in the reservoir. It has a delay timer of 24 hours. The unit will automatically shut off after 1 hour of inactivity. You have the option of brewing 1 to 4 cups of coffee. The Bodum coffee maker is a non-electric type of unit. It’s a French Press, and you can get it in stainless steel design. Capacity – It can hold 17 ounces of coffee (equivalent to 4 small cups). Container – The beaker is made of heat-resistant glass. Frame Construction – The main unit is supported by stainless steel banding. Cleaning Procedure – This model is dishwasher safe. It comes with a fine mesh netting that can efficiently filter coffee grounds. The glass beaker can get very VERY hot. 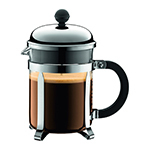 You can depend on this Bodum French Press in delivering great tasting coffee all the time. You don’t need electricity to operate it – and it’s very simple to use. This Farberware coffee maker is an electric Percolator. It’s available in stainless steel color. Auto Keep Warm – The unit automatically goes into warm mode after brewing. Capacity – The pot can hold 8 ounces of coffee. Power Cord – It comes with a detachable power cord – the unit can then be used as a serving pot. You can manually adjust the strength of your espresso by adjusting the coffee and water proportion. The water level lines in the reservoir can be quite difficult to see. This small Percolator can make hot, delicious espresso in minutes – what’s not to like? The Venus Espresso coffee maker is a non-electric Moka Pot model. It’s available in stainless steel color. Construction – It’s made of stainless steel materials. Operation – Just put water and coffee in their designated containers and heat the unit on top of the stove. Handle Design – The handle is ergonomically designed and heat resistant. Cleaning Process – Hand wash using mild soap and water. It brews fast – your coffee will be ready in just about 5 minutes. You can use any type of stove – gas, electric, induction. This non-electric Moka Pot is very easy to use – just place water and coffee at the base of the unit and screw the top pot to the base. The coffee maker can then be placed on top of any heat source to start the brewing process. This Cuisinart 4 cup coffee maker is another model of drip coffee machine. It you like this unit, you can get it in 2 colors – black and pink. Carafe Materials – The carafe is made of stainless steel. Brew-Pause – With this feature, you can remove the carafe from the brewer without making a mess. Auto Shut Off – The unit automatically shuts off after 30 minutes of brewing. 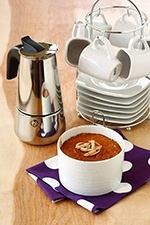 Carafe Capacity – The carafe can hold 20 ounces of coffee. The stainless steel carafe is not insulated – so, it can get hot outside. This Cuisinart 4 cup coffee maker is not perfect, but it’s good enough. 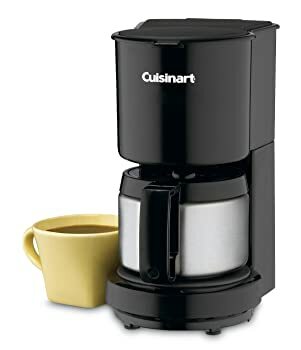 Cuisinart fans will surely appreciate it in spite of its flaws (check out the cons) because it can still make great tasting coffee. 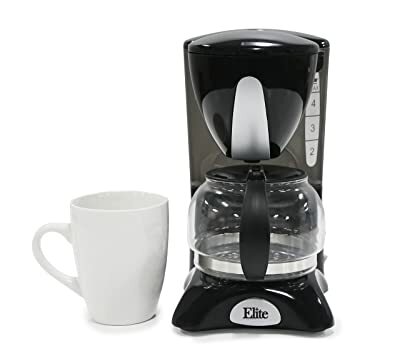 If you’re looking for a 4 cup drip coffee maker, consider the Elite Cuisine coffee machine as one of your options. It’s available in only 1 color – black. Water Reservoir Design – The water tank is semi-transparent and there’s a water level indicator inside. Pause and Serve – The brewer automatically stops the dripping process when the carafe is removed from the hot plate. On/ Off Switch – There’s a push button control for turning on and turning off the unit. Cleaning Process – The carafe is dishwasher safe. The swing out filter compartment is easy to manage. It comes with a reusable/ washable filter. This is a very simple drip coffee machine, but it gets the job of brewing coffee done quickly. It’s worth considering if you’re not after a lot of features in a coffee maker. The Bialetti Kitty coffee maker is another model of non-electric Moka Pot. You can get it in stainless steel color. Construction – It’s made of stainless steel. Handle Design – The handle is heat-resistant and ergonomically designed for easy handling. Stovetop Compatible – You can use electric, gas, or induction stove. It comes in a cute modern design. The shape of the pot makes it hard to twist (and lock) tight. There could be leaks if the top pot is not securely locked to the base. This Moka Pot can make great espresso. For best results, use coarse ground coffee as fine coffee can seep through the filter and ruin the final outcome. Design – The pot comes with a flip up top for easy pouring and serving. Handle and Knob Design – The handle and knob come in stay-cool design. Operation – Just put coffee and water into the unit, assemble it together, and place the pot on the stovetop. Simple Technology – You can expect the unit to make great tasting espresso in minutes. This is a great little Moka Pot that can make high-quality espresso. However, while it claims to be a 4 cup coffee maker, it can only make about 1 to 2 cups of espresso. This Mr. Coffee coffee maker is an espresso machine model. If you want it, you can get it in black and stainless steel (combination) color. With Milk Frother – It comes with a built-in frothing arm. Drip Catcher – The removable drip tray is easy to clean. Brewed coffee is directly transferred into the carafe. This Mr. Coffee coffeemaker is a great espresso machine and I really like it A LOT. The only reason why this unit is at number 10 (the last spot in this Top 10 list) is because it uses aluminum materials in its boiler. Exposure to aluminum has been linked to a lot of diseases – and I can just imagine the amount of aluminum leaking into the coffee as hot water and high pressure are contained in the boiler. That’s my only complaint – but it means a lot to me as I’m putting great importance to our health. I hope you have already chosen which among the Top 10 coffee makers listed above is the best model for you. Still, let me give you a few suggestions. 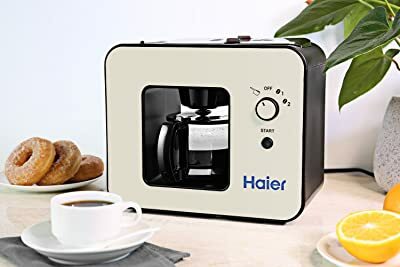 If you’re looking for a simple but functional drip coffee machine, the Haier 4 Cup Coffee Maker would make a perfect choice. It’s a 2-in-1 product since it also comes with a built-in coffee grinder (the only one on the list). Now, if you want a simple drip coffee maker (without the grinding feature), the Mr coffee 4 cup coffee maker would be a great option. It’s the only programmable coffee maker in this post – so, it’s the only one capable of being programmed in advance to brew coffee for you (if you want to wake up to freshly brewed coffee, get this model). 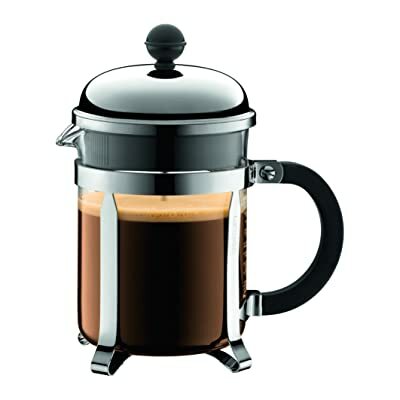 If your chosen type of coffee maker is French Press, go for the Bodum coffee maker. It’s simple to operate and it’s guaranteed to make great tasting coffee all the time. For the best choice in a percolator, the Farberware electric percolator makes for a fine choice. It’s powerful and easy to use and it can make delicious espresso. 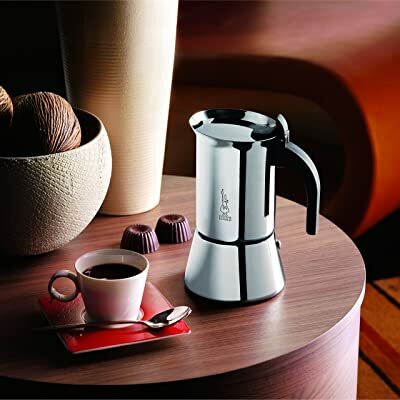 Lastly, I also recommend the Venus Moka Pot – it’s the best Moka Pot in the Top 10 list. The pot doesn’t leak and it’s reliable in delivering hot, fresh espresso in each preparation. 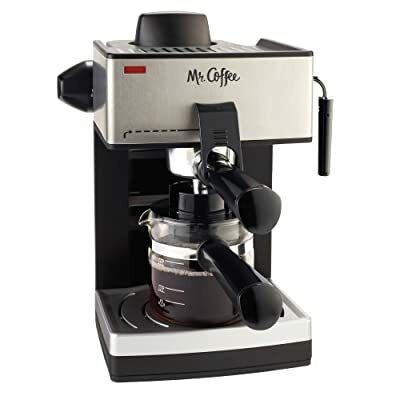 At this point, may I just say that I am not recommending the Mr. Coffee Espresso system even if I like it a lot (it landed on the Top 10 spot)? The use of aluminum materials in the boiler system simply turned me off – although it would have been a highly recommendable unit because of its other features. It’s up to you to make the final choice in choosing the best 4 cup coffee maker for you– this article is simply your guide in arriving at the right decision. Do let me know if this post helped you and don’t forget to share it with other coffee lovers, ok?